E.A.T. : E.A.T. in the Homies! You can imagine my excitement at being in the running for two of Apartment Therapy's annual "Homies Awards." Find E.A.T. nominated in the categories for Best Recipe Blog and Best Food Photography on a Blog. It's kind of exciting seeing E.A.T. paired next to the names of food blogs I've long followed and admired. 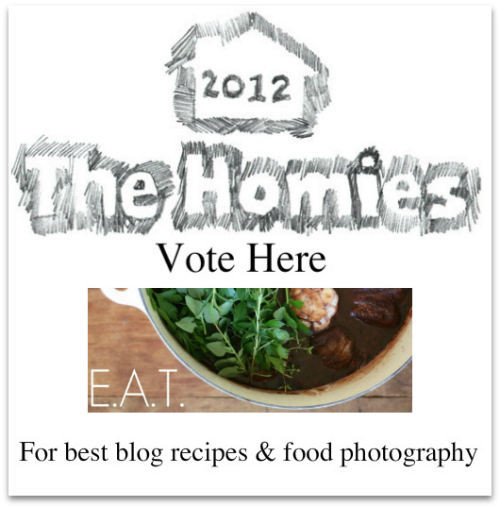 If you have a moment and 2 votes to spare, I'd be tickled if you head on over to Apartment Therapy's Homies nominations and click the vote button next to E.A.T. in both categories should you feel so inclined. Voting does require entering your email address, but that's it. 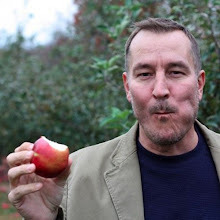 While over there, peruse the other blogs in the running — I've already found several new-to-me food and "homie-style" blogs to add to my own reader. Thanks for your support Homies! Congrats Tim! This is a well deserved nomination and you are in superb company! You have my vote ~ Bravo! Thanks Sarah for your support!